Figure 2. Inner Cone Installation. Figure 1. Vibration Dampener Removal. Figure 4. Vibration Dampener/Hub Assembly. Do not allow any oil to drip onto deck. Failure to comply may result in injury to personnel. Lubricate new nitrile seal ring (Figure 2, Item 2) with engine lubricating oil. 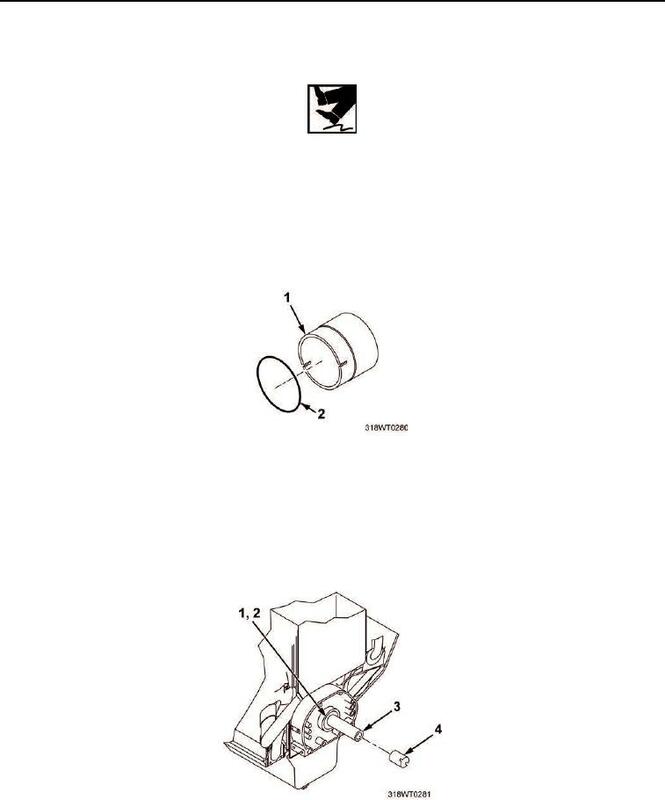 Install nitrile seal ring (Figure 2, Item 2) in groove inside inner cone (Figure 2, Item 1). Tapered end of inner cone must point toward front end of crankshaft. oil seal (Figure 3, Item 1) and up against oil pump drive hub (Figure 3, Item 2). Figure 3. Oil Pump Drive Hub Installation.